As the year comes to a close, rumours and expectations about next generation Apple products are on the rise once again. 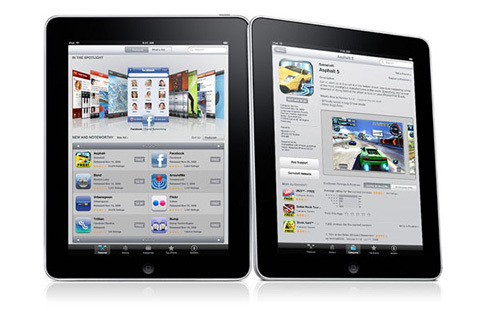 Apple’s iPad can safely be declared as the most popular and talked about device in 2010 and fans eagerly await the next iPad to find out what new features and improvements it will bring. Reports coming out from Barron are suggesting that the next generation iPad might feature 2 cameras—a 5MP camera on the back and a VGA quality camera on the front. OmniVision will be providing the CMOS sensors for these 2 cameras to Apple. The approximate date of the launch is said to be the first quarter of 2011 or maybe on the same date as the first one. Two cameras obviously means that the tablet will support FaceTime which is now featured on iPod Touch and Macs and introducing it on the world’s favourite tablet makes perfect sense. This would also take care of the biggest complaint about the iPad; it doesn’t make calls. The details about the next iPad were first leaked from a brief research note yesterday from investment firm Detweiler Fenton who also revealed that Apple is planning to ship 2.5 million 2nd generation iPads in the first quarter of launch only. All those who were planning to buy the Apple tablet in the coming weeks or months might want to wait till early 2011 to get their hands on the next iPad which will obviously be an improved and upgraded device and worth the wait.